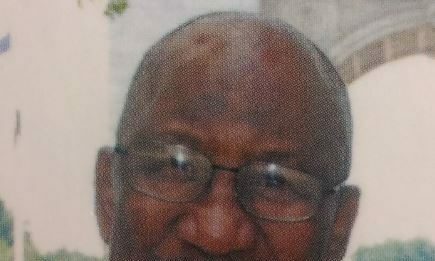 The Msgr Patrick Anthony Folk Research Centre (FRC) says it has received news of the passing of Clement Springer, former musician with Tru Tones and the Royal Saint Lucia Police Band. The centre says he was father to Rudolph (Goggles) Springer and Christine Samuel. He died last night in Long Island following surgery last week, it was disclosed. “His death will be particularly missed in the Saint Lucian Cultural Community in New York. He was a pioneer in the successful effort to maintain our rich St Lucian Culture within the Diaspora, “the FRC noted in a statement. The statement recalled that Springer was responsible for writing words and music to original songs for the Saint Lucia Cultural Organization in Brooklyn. He also wrote a handful of plays, based on Saint Lucian culture, which were performed to the delight and appreciation of many Saint Lucians and non-Saint Lucians alike, it stated. 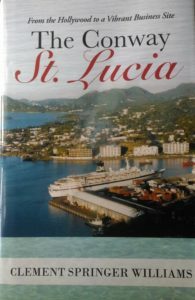 According to the FRC, Springer’s memoir The Conway: Saint Lucia, was published in 2013. It observed that Clement Springer Williams was part of the cultural renaissance in Saint Lucia from the late sixties alongside Roderick Walcott, Charles Cadet, Joyce Auguste and others of that era. “He was a song writer and musician. In 2010 he received the National award of a Saint Lucia Medal of Merit, Gold for his contribution to the arts and culture,” the statement said. The FRC has extended condolences to the family of Clement Springer Williams here in Saint Lucia and in the United States. I hope this breaking news did not come from Andre Paul or the Star newspaper. We are aware that its FAKE news we are getting from them. If it is true I sympathize with the family. I read the book and found it interesting. Thanks for your contribution in helping us connect the dots. To his family, please accept my condolences in this difficult time. Condolences to the family from Saint Lucia Cultural Organization. To the family, friends, love ones, the FRC, cultural Organizations here and NY, in this time of sorrow, please accept my condolences, not forgetting Boo and the members of true tones, wherever you may be and the members of the Royal Saint Lucia Police band during his era; Indeed we have lost a role model , may the good Lord accept him unto his own, may he rest in perfect peace!